According to the Minister not all the states have completed domestic procedures. That is why the group in which Russia is included has not been created yet formally. Nevertheless, four states are ready to join it: besides Russia Kazakhstan, Iran and Tajikistan. “This group will consolidate the second largest package, about 13% that will allow the group to influence management decisions since the basic decision is taken according to the amount of shares controlled,” noted Russian Minister. He believes that AIIB will begin to consider the first applications in the second quarter. “The management assured us that all organizational procedures would be completed in the first quarter and AIIB would be ready to consider projects,” Alexey Ulyukaev said. However he thinks that it is early to talk about funding any Russian projects. “But it is obviously that it will be infrastructural projects connected with highway and railway construction. We would like to work with the projects that we, China and EEU are interested in,” explained Minister of Economic Development of Russia. According to his words the specialists are working at combining two integration projects: EEU and Silk Road Economic Belt. It is quite reasonable that these infrastructural projects will be considered. Besides this entails energy facilities of Russian Far East and Siberia. “By the time the Bank begins to consider the projects we shall have prepared the package,” said Minister of Economic Development of Russia and noted that our country had all opportunities to be among the first ones that would begin working with AIIB. However in Alexey Ulyukaev’s opinion, it is early to talk about the conditions under which the Bank will provide loans. Articles of Agreement of setting up Asian Infrastructure Investment Bank officially came into force on December 25, 2015. Russia has duly completed ratification procedures related to constituent documents of the Bank that allow the country to participate in full format in inauguration meetings of AIIB Board of Governors and the Board of Directors. Alexey Ulyukaev has drew attention to the fact that the Bank is one of the sources of infrastructure finance and practical example of cooperation in Asia-Pacific region. As he said, “it is one of the system decisions that positively affect renovation of the regional economic infrastructure”. Founders of Asian Infrastructure Investment Bank are 57 countries; of them 37 are referred to the regional member states and 20 – to the non-regional ones. 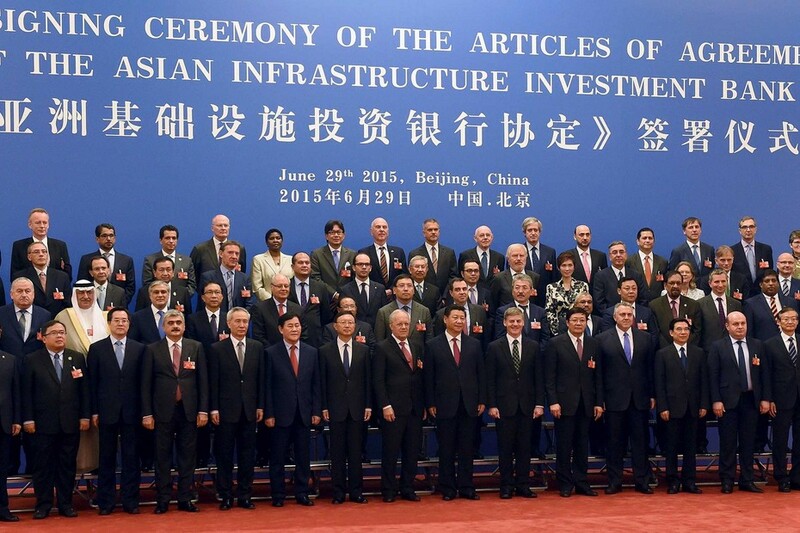 Russia became third by size stockholder of AIIB with stake in its capital equal to 6.54% (after China and India). Besides, today has took place the official appointment of the Bank’s President Tsing Lutsun. As said the head of the Ministry of Economic Development of the Russian Federation, “He is the former Chinese Deputy Minister of Finance; previously he worked in the World Bank and is well known in financial community. We hope that he would manage to properly arrange the Bank’s activity”. During the inauguration meeting discussed were the issues related to the framework working documents outlining operation of Board of Governors and election of the Board of Directors. Further on shall be authorized the relevant internal documents that would allow the Bank to proceed to operation. As noted Alexey Ulyukaev, “to commence the project work, this organizational stage is envisaged to be completed within the first quarter”. He has noted that AIIB shall create the three-level management system including Board of Governors, Board of Directors and the relevant executive bodies. As he explained, “the Board of Governors shall be in charge of taking principal decisions regarding Bank’s development strategy and its charter documents, whereas the direct authorization of project shall be done by the Board of Directors”. Results of voting by candidates to hold positions in the Board of Directors shall be officially released tomorrow. As Alexey Ulyukaev explained, “I wouldn’t open a great secret if I say that the Board of Directors shall include one representative of Russia, i.e. executive of the Russian Ministry of Finance Timur Maximov. He is nominated to hold position of director from Russia. As distinguished from the other international organizations such as World Bank and European Bank of Reconstruction and Development, the director position in AIIB is not presuming the full employment”.